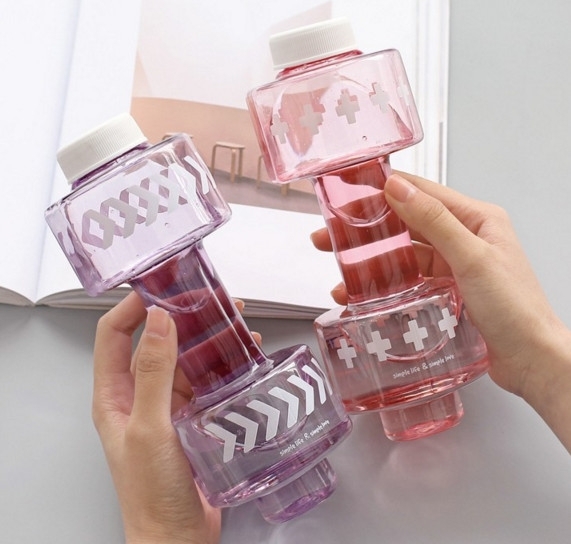 The dumbbell shape sport water bottle is made of plastic, which is easy to carry. It is not only a sports kettle, but also a dumbbell. It is a fashionable cup. Welcome send your logo file, we can costumed as you require.